Right now, the spotlight is on teams competing in the national college basketball championship playoffs. For orthopedic surgeon Gabe Lewullis, MD, with LVPG Orthopedics and Sports Medicine, these games bring back memories of the 1996 first-round matchup between Princeton versus defending NCAA champion UCLA. Lewullis, a freshman forward on the Princeton team, made the nail-biting, game-winning layup to oust UCLA from the 1996 playoffs. What makes basketball players susceptible to injury? There’s a lot of quick pivoting moments – jumping, running, cutting. You have people going in different directions at all speeds, playing offense and defense. Athletes today are stronger and more powerful with more explosive force than ever before, thanks to sports nutrition, sports performance and conditioning. What can players do to prevent injury? Maintain a good balanced workout, stretch daily and strengthen your core muscles. Flexibility is extremely important, but it’s not as much of a focus for young athletes. As you get older, flexibility becomes important to help limit injuries on the basketball court. Lewullis has insights into the top five injuries basketball players face, having seen and experienced many. Here’s what you need to know about these common basketball injuries and the kind of care you might need if you experience one. Concussions, bloody lips, and other head injuries are usually the result of getting elbowed accidentally or coming down from a layup and getting hit in the head. It’s common when you’re rebounding or fighting for position. For concussion, we always err on the side of caution. Players should get out of the game and have an evaluation by a medical health professional that regularly manages concussions. From jammed fingers to sprained, dislocated or fractured fingers, these injuries are very common among basketball players. The ball can hit it your hand at a fast speed and really tear it up. Sprained wrists can occur if a player falls and puts his hand down to protect himself. Most of the time you don’t need surgery, but it can keep a player out for a few games. Knee injuries are common due to pivoting, so it’s usually a non-contact injury (although knees banging into each other hard enough can tear a ligament too). You have a lot of torn anterior cruciate ligaments (ACLs) and menisci (the gliding cartilage between the thighbone and the shinbone) that often require surgery. If you feel a pop while playing, that’s concerning – especially with immediate swelling or fluid into the knee. A torn medial collateral ligament (MCL) doesn’t require surgery but it is quite painful. MCL injuries usually require three to six weeks of physical therapy and rehabilitation. Getting kneed in the thigh might seem like no big deal, but these bruises and contusions can be very painful and keep you out of the game. For this, ice it for the first 24-48 hours, then switch to heat and stretching so the thigh doesn’t get too tight. Pivoting also can cause strained hip flexor muscles. Low ankle sprains and regular ankle sprains are super common in basketball. There are lots of large feet – as they jump, you’ll see a player step on another player’s foot and ankle, resulting in a sprain. High ankle sprain – an injury to the ligaments between the shinbone and adjacent fibula (calfbone) – is much more devastating. High ankle injuries sometimes require surgery to reestablish the relationships between the bones. With a sprain, follow RICE: Rest – Ice – Compression – Elevation. A lot of these injuries don’t need surgery, but if you can’t put weight on it, get an X-ray to rule out a fracture. The team at LVPG Orthopedics and Sports Medicine is as passionate about sports as you are. With locations throughout the region, you can get the care you need to get back in the game. 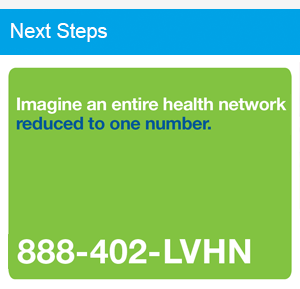 For an appointment call 888-402-LVHN (5846).